How Do Successful Businesses Manage Their Finances? Once the marketing plan has been developed and the product (service) mix defined, successful executive teams develop a financial plan to determine whether their offerings are economically feasible. Such financial considerations as sources of funding, cash availability, and marketing investment need to be evaluated. continue to support it through sales process and beyond. Successful businesses are always careful to perform all necessary analysis of these three aspects of innovation. They never assume the financial capability to launch a new idea guarantees success; rather, it is understood that the ability to begin a project is of no value if momentum cannot be sustained through the point of post-sale customer service and satisfaction. The cash required to pay overhead and ongoing obligations when no revenues are coming in from the new initiative can put a company into bankruptcy if not anticipated beforehand. 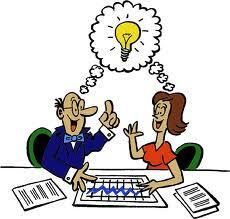 Businesses that plan for their monetary requirements at every stage of innovation will consistently make more money than those that “fly by the seat of their pants.” Developing financial plans that support marketing and operational plans is essential for profit maximization. The results of this planning are recommendations to either scrap, revise, or move forward speedily with exciting projects that can lead to increased brand awareness, market share, revenues, and profitability. However, one would do well to remember that no going concern has ever gone broke because its executive team did not start a new project. How Do Successful Companies Market? Businesses on the leading edge of industry trends and developments are market-driven. Thus is not to say they manage their financial and operating efforts poorly; rather, the financial and operating efforts serve as strong support bases for the marketing power from which they derive most of their profits. Possessing a thorough understanding of the various markets in which a business competes, top companies are able to identify which exact product offerings, features and characteristics are most desirable for their target customers in each market sought. Having identified these key characteristics, top performers direct aggressive marketing campaigns at the universe of prospects who meet the general description, letting them know what they plan to offer, when, how and where. Further marketing efforts are focused on developing consultative conversations to entice this target market to purchase, usually including a solid follow-up process for keeping in touch with potential buyers. Continual market research is essential for small business success, helping the successful executive team to develop a feel for the target markets. You need to know who your ideal client will be–and create corresponding prospective buyer profiles. By studying the types of prospects who visit your website and those of your competitors, it is not hard to get a feel for who your prospects are. What other constituencies should be studied? Knowing as much as possible about the purchaser of your offering helps successful companies design aspects of the offering that fulfill unique needs (think about how Starbucks creates an environment in which we pay three times as much for a hot beverage as the prior source). By thinking through the offering thoroughly, savvy companies gain a competitive advantage over the competition through informed development decisions. From the same marketing information gathered about prospective buyers and their habits, a business can determine pricing and sales techniques that should lead to higher revenues and profitability. This research process gives you a distinct leg up on those who do not put in adequate effort to understand customer needs. Putting information to the best possible use is a skill that further distinguishes the successful enterprise from its competition. Selective–and effective–advertising and promotional campaigns can be carried out on even the smallest budget. Social media outsourcing companies will do a phenomenal job for you for as little as $500/month. Other forms of promotion should not be ignored, however, as many traditional approaches are still valid, perhaps none more so that one-to-one networking with the right people. Successful executive teams realize that marketing is all about building a conversation–online and in person. Good information sets the stage for the conversation, but we still must create an open two-way dialogue with people who matter. Successful businesses also develop marketing plans that lure prospects into asking to be contacted. For example, if your company can offer better terms than the competition, that needs to be promoted. Sales or promotions can drive short-term traffic, but are not your best long-term tactic for profitable growth. Better, think about bundling and cross selling opportunities to entice a customer to sample more of your wares. The intent is to create a symbiotic relationship wherein they see you as a trusted provider of multiple things they need and value. There are more ways to attract and optimize customer interactions, the common thread being that you need to think through how you make your offering “sticky” enough to hold someone’s attention in a day when so many other messages are competing for it. Motivate prospects to buy your offering over the competition’s! They plan for growth constantly. They manage their finances shrewdly. They supervise their operations watchfully. They generate positive cash flow consistently. They maintain positive company morale unwaveringly. How Do Successful Companies Plan For Growth? Companies that fail to plan for growth (or for downsizing, if necessary) are companies that operate out of control. By sheer luck, you may be able to make money for a season or two without planning. 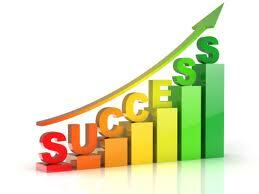 In most situations, however, luck and proactive planning must work hand in hand to make a business successful. Many companies aiming to be an industry pacesetter miss the mark because they allow one area of the business, be it marketing, operations, technology, or finance to control the actions taken–or not taken–in other areas. Successful companies realize that planning the company’s direction is a far-reaching enterprise: the executive (team) must utilize information and resources from as many sources as possible. consider the external environment, and develop tasks to be accomplished within established schedules. Without a doubt, effective planning requires work. However, every business should consider planning for growth a positive challenge. On the other hand, if a company slows down or even stops growing, the executive (team) can still apply many of the principles applicable to business planning for growth. Planning must first be understood in its proper context. Successful entrepreneurs understand that planning is not an annual event to be dreaded and feared, but rather the ongoing process of anticipating what will happen in the future and developing a strategy to respond to these events. Therefore, smart folks plan on a regular, even daily basis. In addition, their plans are not developed as dogmatic, end-all solutions to company problems or challenges from here to eternity. They understand that a plan by nature is subject to change and revision. Being flexible in the way one develops, implements, and modifies plans creates much greater success than those who do not plan at all–or those who only develop plans on an “as-needed” basis. Furthermore, planning in successful operations is not arbitrarily limited to one area of the business. Effective planning encompasses all three of the primary functions of a profitable business: operations, finance, and marketing. Additionally, the preferred order for planning is not as some would imagine. 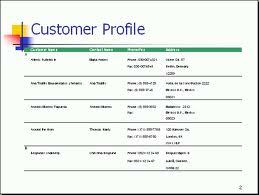 For example, operations can not be allowed to determine the organization’s finance and marketing goals. Most business executive teams plan only in so far as they make a schedule for the completion of various seasons of the year. Such small-scale planning is useful, but one must also develop a better feel for the “big picture”–the combined approach of marketing, finance, and operations that will generate desirable results in the next week, month, year, and decade. Many successful companies therefore draft their marketing plans first, outlining the number of units (whether of time if a services firm or items if a products firm), design/features, locations/markets, prices, and means of promotion. 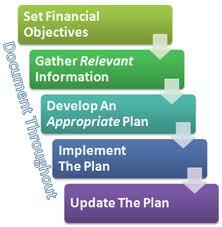 The financial plan then accounts for the obligations that will be undertaken as a result of the marketing plan. Finally, the operating plan discusses how customer/client needs will be met and what resources will be employed to make it happen. What can be lost in the “shuffle” is necessary focus on what actions are necessary to change the patterns. So much effort is dedicated to capturing information, reporting information, and communicating information that not enough is given to improving performance. Simply noting what needs to change without the corresponding strategies and tactics, as well as daily behaviors, is not enough! When the organization takes time to problem solve, innovation can occur. Instead of doing the same thing and expecting different results (insanity), new solutions need to be developed, new processes tired, new personnel invited to help develop solutions. Paul Williams invites change managers to ask the question “How Might We…?” How might we drive sales? How might we drive traffic? Determine at least four “how might we” answers. Then, for each of those answers ask again “How might we…” Identifying at least four responses for each. Let’s use the “How might we drive sales?” as an example. How might we… drive more sales? Let’s take those first four answers and ask “how might we?” about each. 1) How might we… build awareness? Word of mouth: get current customers to tell others. 2) How might we… raise prices? Increase prices across the board. Increase price of most popular products. Add perceived higher-tier items – that command a higher price point. Remove lower-priced / smaller sized options from menu. 3) How might we… increase frequency? Add items for a different time of the day / daypart (e.g. add breakfast). Offer special in-store events to encourage non-traditional visits (e.g. art events, live music). Create / suggest additional uses for your product (e.g. baking soda for cleaning, cranberry sauce – not just for Thanksgiving). 4) How might we… get add-on sales? Put impulse items near the cash register. Offer add-on extended warranty / product insurance. Show customers products that pair with and enhance what they normally buy. Offer specials encouraging families and group sales. Williams advocates that we continue to ask the “how” question to arrive at possible solutions. By repetition, more ideas surface. Though he stopped after two rounds of brainstorming (problem solving in this case), you need not feel limited except by the creativity of your team and amount of time you are willing to commit to the process. Even stopping at the point above, you notice that 16 potential solutions to enhance sales were generated. While not all of them will create the desired improvement, many will and the effort is way more valuable than perseverating on the problem, as organizations and their leadership teams are wont to do. Move to action rather than “paralysis by analysis” and you will be better off!